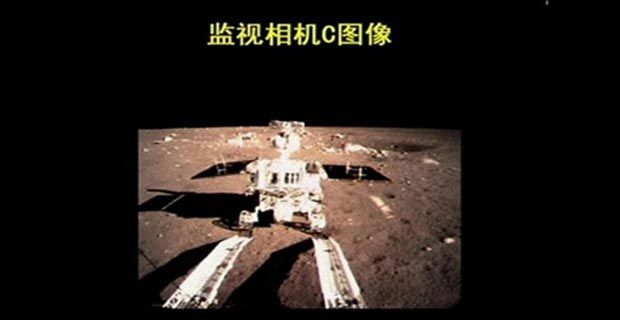 China has become the first country since 1976 to successfully engineer a spacecraft’s ‘soft landing’ on the moon. A ‘soft landing’ is defined by a craft landing intact with all its’ equipment undamaged, so just randomly flying mechanical bodies into the lunar surface doesn’t qualify as a contribution to humanity’s exploration of the universe to quite the same extent. The Chinese join the Soviet Union and the United States in the successful accomplishment of a moon landing. Both Russia and America have long geared their space programs away from missions such as this, partly because of budgetary restrictions and partly because of the limited scientific value of another moon landing, but try telling the Chinese that as they beam with pride. The landing was broadcast live on state television and is a major symbolic triumph for a still nascent space program. Space exploration has always ridden an uneasy line between transcendental humanism and militaristic nationalism, and while this mission is clearly seen as a marker by the Chinese authorities, it is interesting to see transmission and tracking support coming from the European Space Agency in the spirit of co-operation. The ‘Jade Rabbit’ rover left the landing craft successfully and set off for 3 months of geological surveys, leaving tracks and clearly demonstrating movement. The lander meanwhile will conduct its own year-long series of experiments. While it is easy and indeed predictable for some analysts to frame this move as a scientifically pointless exercise in ‘Me too’, the reality is that the lunar surface is underexplored. Any contribution to our knowledge should be welcomed, as should general Chinese engagement with space. Perhaps much of what they have planned is following in already planted footsteps, but who knows where this might lead, especially as NASA continues to be cast as the Pentagon’s ugly sister in US budget negotiations and has its wings ever further clipped.